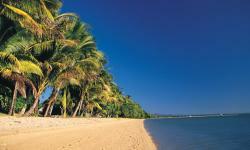 Tropical North Queensland is a paradise for nature lovers. Activities and tours are centred around natural beauty from the tropical rainforest to the Great Barrier Reef. The Great Barrier Reef is nature at its grandiose comprising of clear blue waters, corals and tropical fish and abundant marine life. Completely immerse yourself while on holiday in everything that is Queensland and experience North Queensland. Places of interest in North Queensland include: Rockhampton, Carnavon Gorge, Rockhampton Hinterland, Gladstone, Town of 1770, Emerald, Biloela, Mt Morgan, Yeppoon, Marlborough, Lizard Island, Great Barrier Reef, Ingham, Magnetic Island, Whitehaven Beach - Proserpine, Hamilton Island, Daydream Island, Lindeman Island, Whitsunday Island, Long Island, Halliday Bay, Orpheus Island, Great Keppel Island, Dunk Island.